Amazon started as an online bookseller and has grown to become a behemoth of an online retailer, carrying virtually every product that is possible to ship to homes. 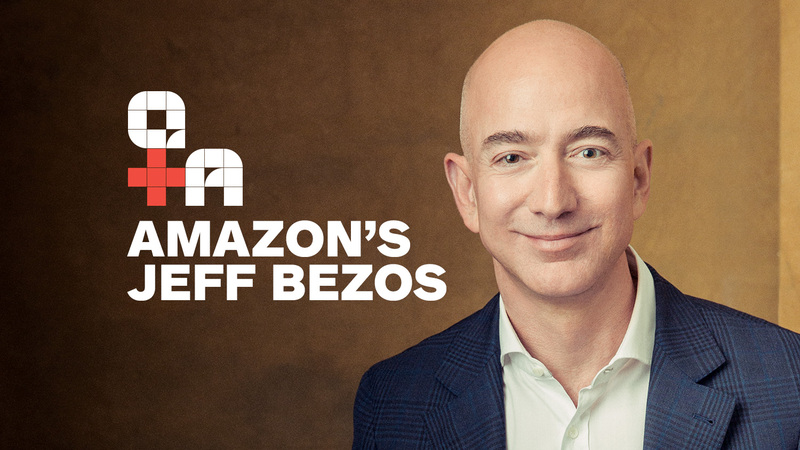 Reaching into every sector, founder Jeff Bezos has taken over the eBook industry, the home shopping industry has made inroads in the tablet industry, and has plans to move into many more, with fresh food delivered to homes and goods transported by delivery drones. How did this Internet mega-company begin? Jeff Bezos, a high school valedictorian and computer science and electrical engineering graduate of Princeton, originally wanted to start his own company. Instead, he joined a Wall Street startup company. In 1988 he again wanted to start his own company but took another position with a Wall Street company. Six years later in 1994, Jeff Bezos was 30 years old and had a job working on Wall Street in New York City. His life-changing moment came when he read a statistic that web usage in early 1994 was growing exponentially at a rate of 2,300 percent per year. This jaw-dropping statistic told Bezos that the internet had incredible growth and income potential, and he decided to quit his job, move to Seattle, and start his own internet company. He pondered what type of business might perform the best in light of that kind of industry growth. He made a list of 20 products that he thought were ideal for internet sale, and chose books, for their low cost and universal appeal. Bezos turned to his parents for his initial funding. Despite his father not knowing what the internet was, both parents hopped on board with the plan and handed over $100,000 of their personal savings. This, even though Bezos warned them that there was a 70% chance they’d lose their investment. They would later invest another $145,000. Bezos initially called his company Cadabra, but within 3 months he decided to change the name because over the phone it was too often mistaken for the word “cadaver.” The company was renamed Amazon. Although Amazon ran ads that implied Amazon had huge warehouses full of books, in the beginning, it was just Bezos working in his garage, ordering books after customers ordered from him, then hand-packing the books himself and shipping them out to customers. In 1995 amazon.com raised 8 million dollars in capital from Kleiner Perkins Caufield and Byers. Amazon went public at $18 per share in 1997, for additional funding. The investment by the Kleiner Perkins Caufield and Byers firm resulted in an astounding 55,000 percent return on investment. 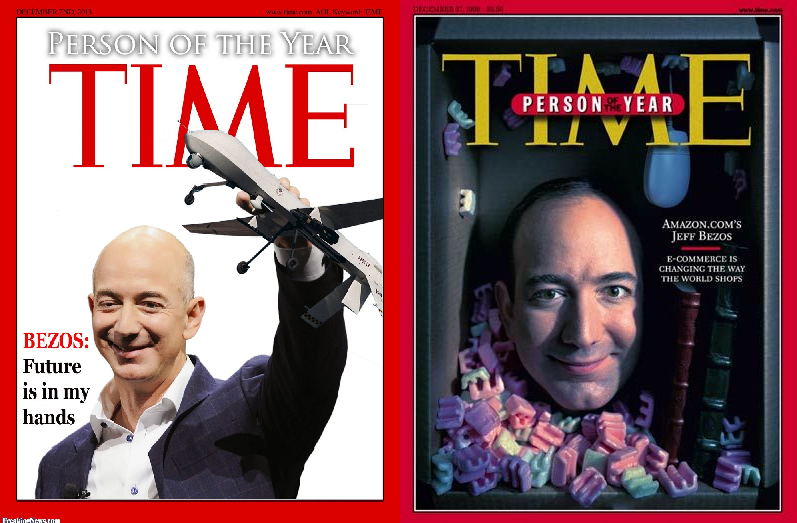 By 1999 Time Magazine named Jeff Bezos as “Person of the Year” for pioneering the dramatic popularity of online shopping. Over the years, the corporate giant has assimilated more than 44 companies, including Tony Hsieh’s Zappos in 2009 via a stock swap and the Washington Post in 2013. Jeff Bezos credits his company’s stubbornness with its success. Despite taking three tries to get third-party sellers on Amazon to work, he never gave up. That determination has paid off well, as today Amazon is one of the best-known internet companies in the world.